In the wake of concerns by the opposition People’s Progressive Party (PPP) that agents of the State Assets Recovery Unit (SARU) swooped down on the Enmore Neighbourhood Development Council and carted off a number of computers, the Ministry of Public Telecommunications said Friday that they foiled an attempt to sell the items illegally. “Officials from the eGovernment Project Execution Unit paid a visit to the Enmore Neighbourhood Development Council yesterday Thursday April 6, 2017 to investigate a report that a batch of computers was about to be sold to “someone connected to the NDC”. It has since been confirmed that the computers were a donation from the Basic Needs Trust Fund and were intended for use by residents of the community. 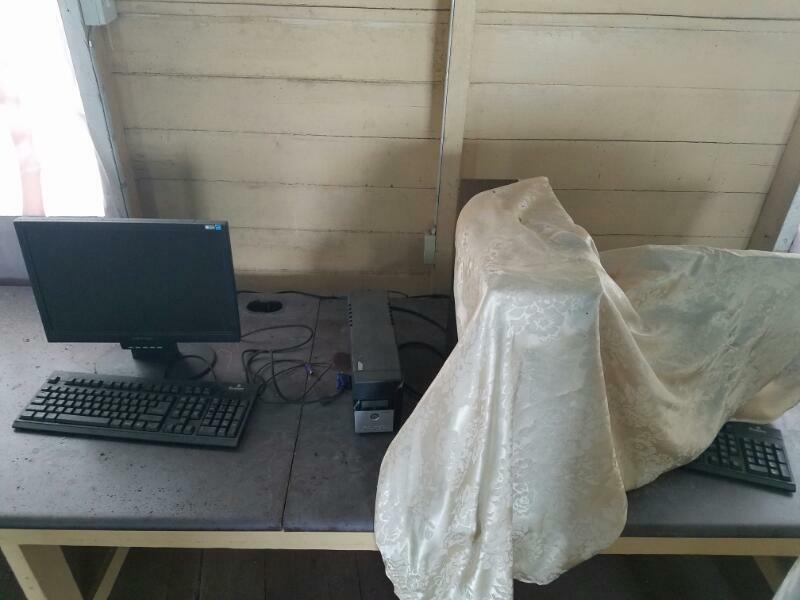 These computers therefore, cannot be sold,” the ministry said. The Public Telecommunications Ministry said the minutes of of the statutory meeting of the Enmore/Hope Neighbourhood Democratic Council held on 16 November, 2016 show that a decision was made to sell the items. “To sell these computers was illegal. Upon receipt of the report of the impending sale, the eGovernment Unit (NDMA) which has oversight of government’s ICT assets, quickly responded to prevent the illegal act,” said the Public Telecommunications Ministry. The Public Telecommunications Ministry said the computers would be returned to the Enmore community once it has been agreed that they would not be sold or otherwise disposed of. Government assured that eGovernment fully intends to support the residents of Enmore/Hope under its Community ICT hub initiative which provides free Internet service and computer skills training. To date, eGovernment has overseen the establishment of fifty-one (51) ICT Community hubs in Regions 2, 3, 4, 5 and 6 including Crabwood Creek, Liverpool, Port Mourant, Wales, Sophia, Charity, Dartmouth, Good Hope, as well as Masakenari in Region 9. So far, over 98,000 citizens in 51 communities have access to free Internet, with extra bandwidth available after school and business hours, and on weekends and holidays. Their secondary schools, technical/vocational institutes and other state tertiary institutions have also been connected to the national ICT networks. In its statement, the PPP made no mention of plans by the NDC to sell the computers, but pointed out that the 15 desktop computers and eight power-packs are “owned” by the Community Resource Center, a Non-Governmental Organisation, established by the residents of Enmore. The opposition party said legal action is likely to be taken. “The Enmore NDC and the Community Resource Center has also been advised to launch civil proceedings against the State claiming monetary compensation for trespass, constitutional violations and deprivation of private property,” the PPP said. The PPP called on the Commissioner of Police to immediately launch a full probe and institute criminal charges immediately.